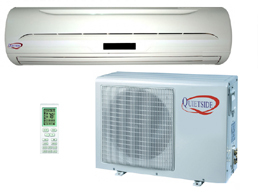 Quietside 9,000 Btu/h, 13 SEER Ductless Air Conditioner (QSCE-093). Reliable & Efficient Rotary Compressor. Unobtrusive Indoor & Outdoor Unit Design. Wireless Remote Control . Low Noise Levels. Dry Mode - Dehumidify the air during hot and humid weather. 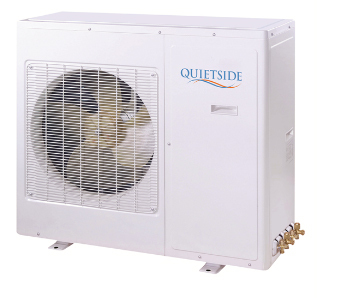 Quietside's new line up of mini splits is greatly expanded with the addition of higher efficiency. 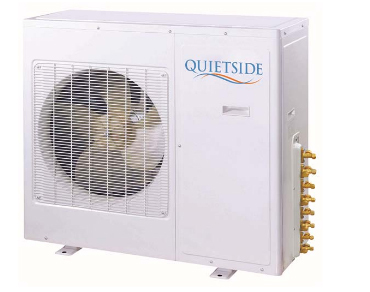 The Quietside Dual Zone system comes in varying capacities for larger applications. 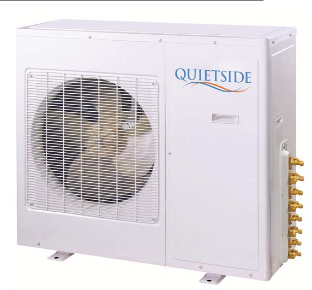 Quietside 12,000 Btu/h Ductless Mini Split Inverter Heat Pump (QS12-VJ220). 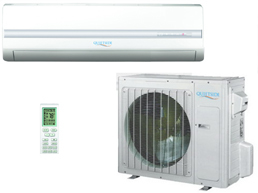 1W Standby, PCB Protection, Auto Clean, Cold Air Prevention, Comfortable Sleeping Mode, Inverter, 1Hz Operation, Intelligent Defrosting, Air Purifying Filters (Optional), The Silver Ion Filter is able to sterilize 99% of bacteria by suppressing the proliferation of mold and bacteria and preventing unpleasant odors. 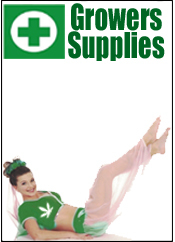 Call in for one of our specialists to help mix & match condensers & coils.